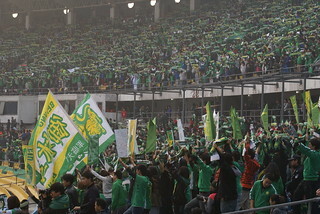 Guoan… Beijing Guoan… Beijing Guoan… This song is what you can hear when you go to Gongti (Worker’s Stadium in English) to see a football game. Beijing Guoan (北京国安) is Beijing local team who plays in Chinese League 1. This club was founded in 1992. It is regularly in top3 ranking but without winning lot of competitions (league, cups…) even if a big founding capital company is main sponsor. This word is one of the first that I learned when I arrived in China. It is for sure included in the top 10 ‘Survival Chinese’ words that all expatriates learn but I think that I cover it only after one year during my official Chinese courses. The official translation is ‘waiter’. All persons who work in a bar or restaurant are called ‘fuwuyuan’. Why do we learn this as soon as we reach China? After few days, I clearly understand that English and polite words are unsuccessful in restaurants. 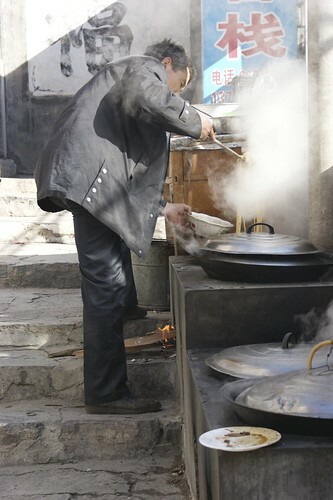 The only way to have the waiter’s attention is to shout ‘fuwuyuan’. Only calling them is not sufficient as people on the other tables will shout at them ‘fuwuyuan, fuwuyuan…’. We often heard in Europe that e-commerce will boom in the coming years and its potential is high. China market is one more time really advances on this topic. 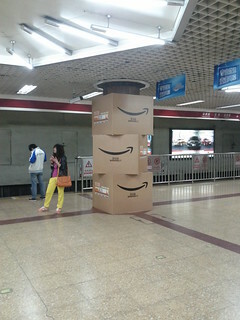 Buying online is already well known by Chinese netizens. To answer numerous customers’ demands, e-commerce companies start to become multinational companies that can manage suppliers, freight transportation and home delivery. Deliverymen are every morning in front of offices to bring their latest deliveries to customers. This is usual to see colleagues go down twice a week in our building to get their new gadgets from deliveryman. The most famous e-commerce website in China is Taobao.com but I will write about it in an other dedicated post (most probably on the letter T… ). I spent so much time on Taobao that I got many stories to share. 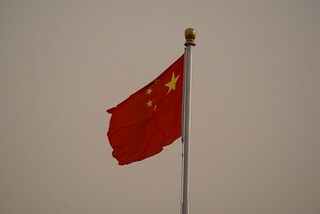 It represents today more than 50 % of sells in China so the rivals have tough challenges to remain alive. A short focus today on local cuisine with the latest series’ post: D for Dadong. The beijingers will find quickly which location I refer when I mention this name; it will be a little bit harder for the others. The Dadong Restaurant is well known in the Chinese capital. It is one of the references to taste the Beijing’s specialty, the savory roasted duck. 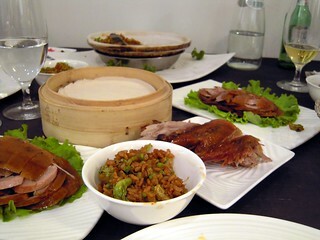 The menu proposes the famous Beijing Roasted Duck and other delicious dishes. 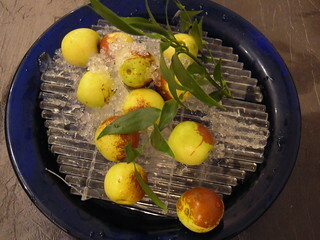 Those are modern cuisine plates with a specific focus on the presentation. Third article in the new series, A letter A word, with the word Communism for the letter C. China is one of the latest country in the world where Communism is still the party which detains the power (with North Korea). The initial model that Mao Zedong put in place in 1949 largely evolves but the Democratic Republic of China is still governed by the Communist party today. It is been more than 70 years than PCC controls with a “strong hand” the country. In the eighties, under one other well-known personality in China, Den Xiaoping, the country started to slightly open to the outside world and began to make international commercial agreements. Those years shown the beginning of a huge economic growth that is still on-going now. This word on my new series “A letter a word, China from A to Z” is most likely the one that I choose without hesitation. I surely select Beijing for this post. 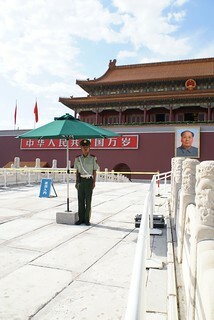 Beijing is the symbol of my life in China. It highlights so many things in my memory: my first adventures in this amazing country, my first working place abroad but also the image of a multi-faceted city. In few minutes, you can move from the atmosphere of any megalopolis in the world (NYC, London or Paris) to a street in the middle of a third-world country where misery can touch any sensitive people then come back to a middle-size city where locals eat, dance and sing in the streets. It is always hard to leave our country, our daily life and our habits. This is what I did 2 years ago when I accepted a job offer from my company in Beijing, China. Lot of people recommend to make enquiries on the new country, go and visit the potential new city and be ready for these big changes. On my side, I decided to jump on the other side of our planet without good knowledge of this new country. Few weeks after agreeing with my company, I was on a plane to Beijing without clear return date. I got one new idea when I went through some basic guidebooks for my next travels. I should write about my life in China with simple words that can describe easily this country. I start from today new series that is called ‘A letter, A word – China from A to Z’. I will try in 26 posts to share my view and my understanding of Chinese culture and way of life. This is a funny and also strange idea as Chinese didn’t use letters from our alphabet to write their words. From the title of this new series, we can already see the big gap between our 2 cultures.